This episode, South African hip hop scholar and sociolinguist Dr. Quentin Williams discusses his new book Remix Multilingualism: Hip Hop, Ethnography and Performing Marginalized Voice (Bloomsbury Press). Dr. Williams is a Senior Lecturer in the Linguistics Department at the University of Western Cape. He has published papers and book chapters on the performance of multilingualism, popular cultural practices (specifically Hip Hop), agency and voice in urban multilingual spaces. In addition to the book we’ll be discussing today, he is also currently editing the book Kaapse Styles: Hip Hop Art & Activism in Cape Town, South Africa. 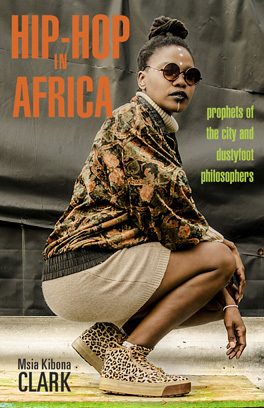 Dr. Williams has been writing on language and hip hop in South Africa for several years, and has extensive credibility within South Africa’s well established hip hop community. Dr. Williams’ research and work has also made valuable contributions to the field of linguistics. In this interview we discuss the book, Dr. Williams research on South African hip hop, and ultimately his place as a Coloured man from the Cape Flats in one of the oldest and largest hip hop scenes in Africa. 6:24 – Being a hip hop sociolinguist & self reflection in the book. *Dr. Williams defines Body Rap as “a sub-genre of local rap, where the overarching theme in the lyrics is the sexualization and often the denigration of women’s bodies, performed for the pleasure of men”. The article Code-Switching in Contemporary Nigerian Hip-Hop Music by E. Taiwo Babalola and Rotimi Taiwo discusses about the use of code-switching by Nigerian hip-hop artists. Is Kwaito South African hip hop?